973 – M. Basil Pennington: O Holy Mountain! I got the boat to the Simonos Petra landing. A merchant in Daphni gave me a bag of fish to bring along and a letter. Fortunately, he said to leave the fish at the dock. The climb, over a thousand feet straight up in the noonday sun, with my bag on my shoulder, was a real workout – purgatory on the way to heaven. Contemplative silence described in O Holy Mountain! – Journal of a Retreat on Mount Athos by Fr. M. Basil Pennington (1931 -2005), who was a Trappist monk at St. Joseph’s Abbey, Spencer, Massachusetts, as well as a spiritual writer and teacher. Fr. 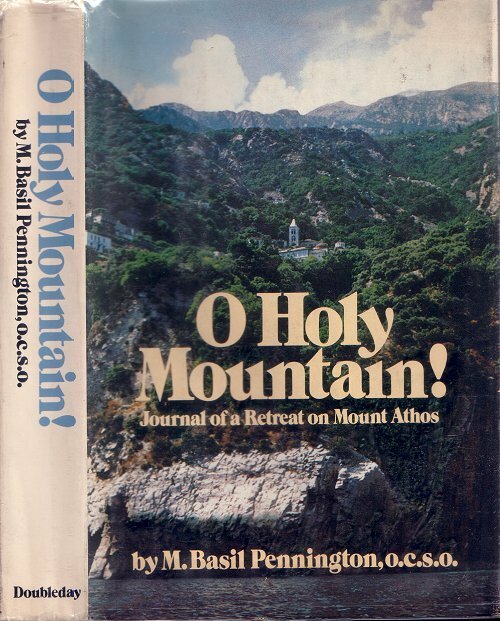 Basil Pennington’s book O Holy Mountain! is out of print. But it appears to have been republished under the torturous title, The Monks of Mount Athos: A Western Monk’s Extraordinary Spiritual Journey on Eastern Holy Ground. 3 Responses to 973 – M. Basil Pennington: O Holy Mountain! I think the Papadopoulos map is very interesting ! Could you make a good scan of it (very high resolution) and post it here or send it by email to anybody interested ? I will publish a better version of this map, first I’ll have to scan it.